Home Movies BABY DRIVER: Worth it or not? 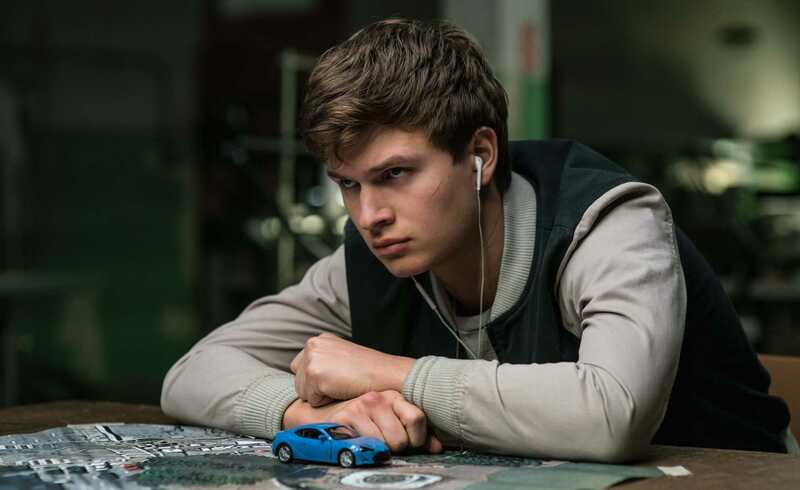 BABY DRIVER: Worth it or not? On Thursday 7th of September the Italian version of Baby Driver comes out, the latest movie directed by Edgar Wright with Kevin Spacey, Jamie Foxx, Lily James, Ansel Elgort. Gon Fashion went to the premier and we ended up with the following impressions. (l to r) Baby (ANSEL ELGORT), Darling (EIZA GONZALEZ), Buddy (JON HAMM) and Griff (JON BERNTHAL) are dropped off at the bank in TriStar Pictures’ BABY DRIVER. Baby, played by Ansel Egort, is a young man with a mysterious past who “works” as a driver during robberies organized by Doc (Kevin Spacey), a ruthless criminal. The story is about the Baby’s relationships with Doc, his accomplices in crime, Deborah (Lily James) as his love interest, and his troubled past. This is an obvious and weak plot which does not tell us anything new. The plot is a similar story akin to any generic action or comedy movie. 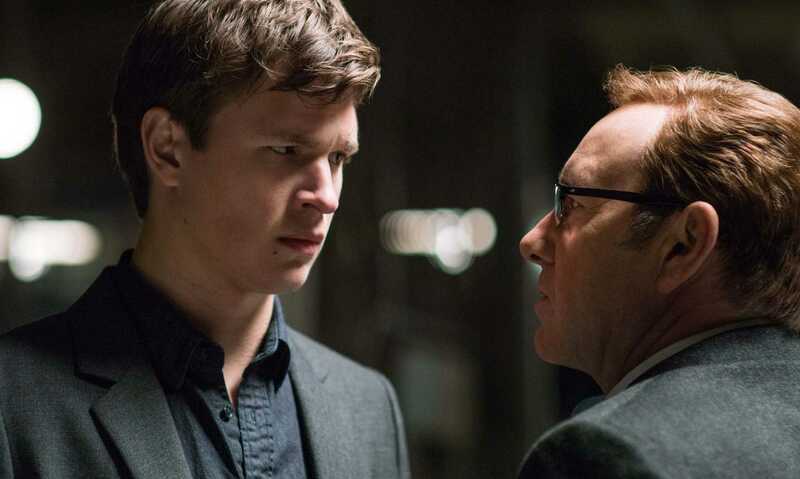 Doc (KEVIN SPACEY) tells Baby (ANSEL ELGORT) he will do the next job, and he will make a lot of money in TriStar Pictures’ BABY DRIVER. I have also highlighted the contrast between these two genres because it is really difficult to understand to which one this movie belongs. When I saw the trailer a few months ago, I was curious about seeing it. At that moment, I thought it was not the tipycal action movie, but more of a comedy that wanted to represent that movie genre in a humorous way. There are some funny scenes but the majority of the film is almost dramatic. If we have to describe it, it would be considered an action movie that aspires to be a comedy, but it has an unconsciously dramatic nature. That is why I think it does not represent any well-defined movie genres. 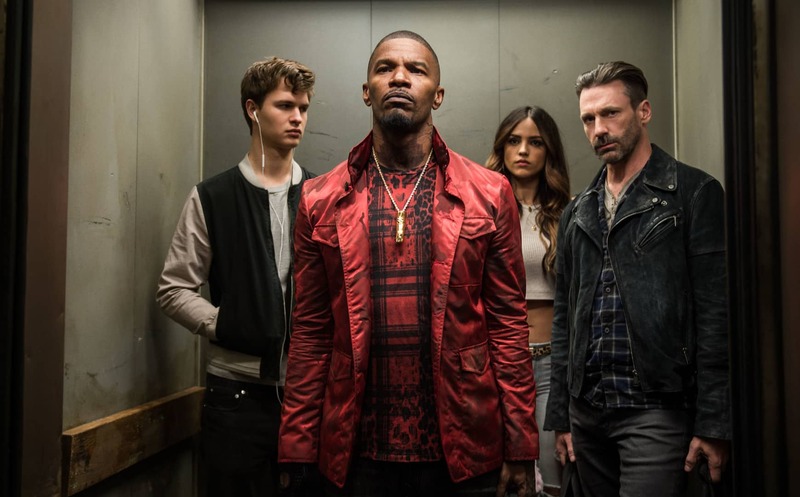 (l to r) Baby (ANSEL ELGORT), Bats (JAMIE FOXX), Darling (EIZA GONZALEZ) and Buddy (JON HAMM) decide on doing the heist in TriStar Pictures’ BABY DRIVER. Fortunately, the soundtrack makes Baby Driver go great, and especially the pace and placement of each track. Baby’s character has a specific feauture: he listens to music all of the time. Why? You should see the movie to find the reason out. Anyways, it is just through music that the protagonist pulls the strings of the narration. From “ I Got the Feeling” by James Brown, to “Brighton Rock” by Queen, to “Let’s Go Away for Awhile” by Beach Boys, Edgar Wright decides to walk us through the entire music history on all of its genres. Baby (ANSEL ELGORT) tells the team they are doing the heist in TriStar Pictures’ BABY DRIVER. In short, Baby Driver is a nice movie but not as outstanding as other people claim. It is that kind of film to watch in your house chilling with some friends. The grade? 6.5 but only because of the soundtrack.